The EU-funded ODYSSEA project took the first steps toward establishing the Al Hoceima ODYSSEA marine observatory in Morocco, through local partner Association de Gestion Intégrée de Ressources (AGIR). 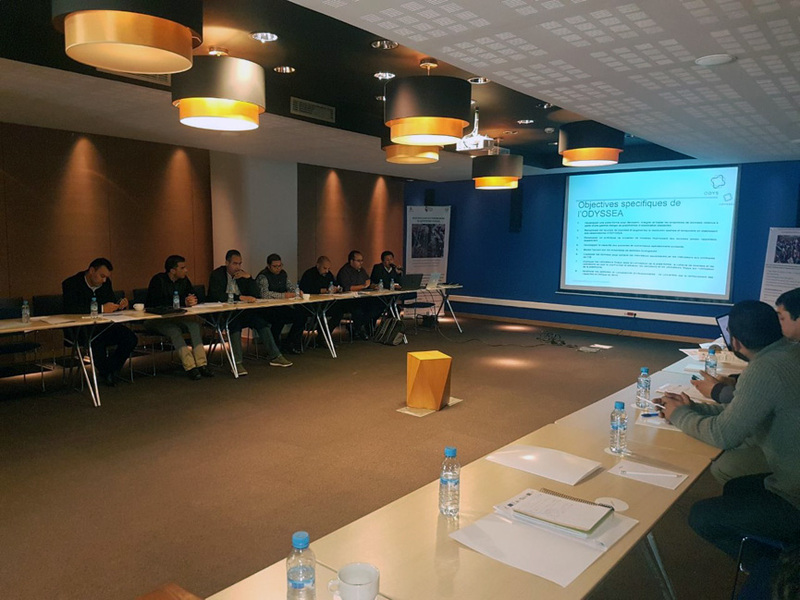 The initial stage included a workshop held January 5, 2018 in Al Hoceima, which was co-organized with Morocco’s High Commission for Waters and Forests. “Through the use of new technologies, which will include pioneering sensor systems and advanced environmental parameter forecasting models, the ODYSSEA observatory in Al Hoceima will contribute to increasing the capacity of young scientists, engineers and entrepreneurs to evolve and prosper in settings that rely on excellence and competitiveness,” AGIR Chairman Houssine Nibani commented at the workshop. At the event, ODYSSEA’s establishment of a network of marine observatories – as well as linkages to other initiatives and with efforts already underway – was presented to the roughly 40 participants in attendance. Participants included key national and regional stakeholders from the sectors of public administration, academic research and civil society. This was the first major public presentation of the ODYSSEA project in Morocco. Mr. Nibanidescribedthe leadingrole that ODYSSEA will fulfil, between now and the end of 2021, in developing the marine observatory cantered on the growing needs of end-users along Morocco’s Mediterranean cost, and the region’s emerging Blue Economy as a whole, while creating effectivejoint initiatives with other projects. Participating organizations agreed to create a Steering Committee for the Al Hoceima ODYSSEA observatory, bringing together representatives of the primary stakeholders, which will act as the main driving force of the observatory and ensure a lasting local impact. Workshop attendees also decided to hold a convention focusing on consolidating their cooperation in data sharing and knowledge exchange, and starting training courses enabling as many end-users and relevant public-sector employees as possible to benefit from the ODYSSEA observatory and related services. The workshop was financed primarily by the MAVA Foundation.